With a personalized wireless network, you can prevent intruders from accessing your network or even using your wireless Internet connection. 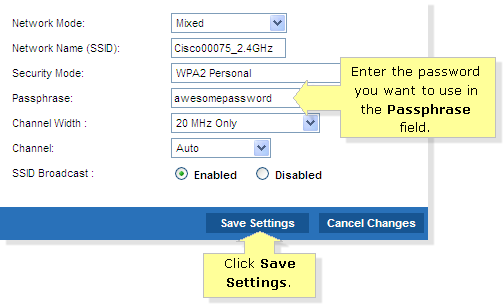 The wireless settings of a Linksys router can be configured using its web-based setup page. NOTE: The Linksys Smart Wi-Fi Routers E4200v2, EA2700, EA3500 and EA4500 may be rolled back to the Classic Linksys Smart Wi-Fi Router web interface. For instructions, click here. 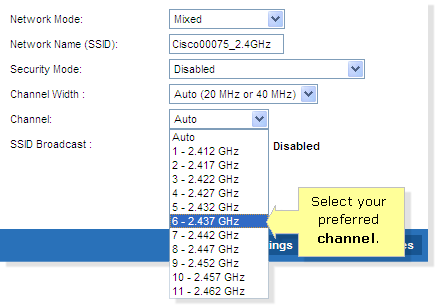 To set up the wireless settings of your router, you need to access its web-based setup page. If you are using a Windows computer, click here. For Mac users, click here. 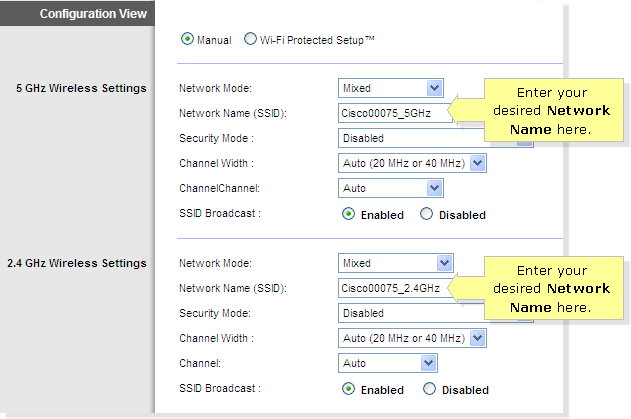 NOTE: The Wireless Security section is now located under the Wireless Settings sub-tab. NOTE: By default, SSID Broadcast is set to Enabled. On the Channel drop-down menu, select your preferred Channel. NOTE: It is recommended that you leave the Channel Width set to 20 MHz Only if there are numerous 2.4 GHz wireless networks in your area to avoid interference. QUICK TIP: The recommended channels are 1, 6, and 11 since they are considered non-overlapping channels. If you are not experiencing any connectivity issues, it is best to leave the Channel as Auto. NOTE: Your WPA2 password should be at least eight (8) characters. Make sure to take note of it before closing the window. You have successfully configured your Linksys Smart Wi-Fi Router’s wireless settings. You can now connect your wireless devices to your personalized wireless network. To learn how, click here.